Pricing is one of the most difficult things to get right. There are several questions that come to us, and its good if we can get an answer for each of them. Should my MVP be free? When should I start charging? How much should I charge? Will I lose my first customer, if I start charging higher? Will the freemium model work? We get into these FUDs(fears, uncertainties, doubts) because whenever you ask for money, there is friction, which cannot be removed, it can only be minimized. The best way to overcome these objections is to prevent them from happening. Well, I tried to study, how other people, were addressing the same problem, and tried to come up with one for my own product. Its taken more than 6 months, and hours of brainstorming with few of the amazing folks for me to reach here. I will try and summarize few of them. Pricing is a basic economics thing. Unlike traditional manufacturing products, where there is a fixed cost of raw material, labour, transportation etc. a cost price for each unit is pretty clear. On this objective value for each of the unit, the sales team, tries to create a perceived value of the product, based on reference points of competing products, and after a basic survey of the demand curve, a price point is generally arrived. For softwares, the case is slightly different. After break even, the price of a new unit, tends to be negligible. So defining an objective value for each unit becomes tough. Chances may be, the product you are creating may not have a direct competitor, or if there is an alternative it might be free. In that case, extrapolating from a reference point becomes tough. The price tag you put on your software, is one of the most challenging thing to get right. Not only, it keeps you in business, it also signals your branding and positioning. Iterating on the product, is far more easier than on the price. Lowering the price is generally easy and appreciated but it takes to be an Amazon to demonstrate it profitably. Increasing the price, is tough, because it adds to the churn. So doing the most you can, to get it right, generally accounts for a successful business in making. Despite validating the problem that I was solving, and clearly mentioning the price point during the customer interviews in my initial stages, I used to be afraid of asking money for the product, because I had a fear, the product is not ready, the Minimum Viable Product was minimal, I was not sure of the hidden bugs and I was not sure, how deeply have I solved the problem. Steve mentions pricing to be one of the important questions in your customer interview, this helps you validate that the product’s value proposition is compelling enough for them to pay, and the problem is worth solving. Once the MVP is built, Steve asks you to sell it to your early customers. There is no clearer customer validation than a sale. Well both of them have their own merits. So I did an A/B with my customers. I offered two of them, the software for free, and mentioned to the other that we will be charging. The folks who were given free product, did not use it and it got shelved, whereas the ones who were paying, had feature requests, reported few of the bugs they came across, solving these bugs, and responding pro-actively helped me develop better relations with them. The free users asked for additional features, whereas the paying users asked for improved features, which eventually meant a better product. Personally, I align more towards Steve’s side, because, the best validation you can get for products value prop. is the customers’ bucks, and if it gets figured out initially, nothing like it. Should I go for a freemium model? People have struggled with freemium, and dropped it, with few exceptions of Wufoo and FreshBooks. The conversion for free to paid accounts has been relatively low even for Pandora, Evernote, and MailChimp. 37signals has greatly deemphasized their free plans to almost being fine print on their pricing pages. Its not impossible to launch successfully with a free plan but things can get easy, when we simplify freemium, not look at it as a business model, with the only objective for it being to get people using your product in a manner that makes them want to pay for more advanced features. What should I consider while pricing my software? There are a number of ways to approach this problem. Emotional Willingness to Pay, which is an after effect of perceived value of the product. This is customer-first strategy. The amount of value each customer gets out of using Sosio, corresponds with the amount they pay us. Tried doing it, but devising an excel sheet, where in we could go and show, that you used sosio for X, and it increased your value Y times, is something, we are yet to find. This strategy takes care of our engineering team, sales cost, server and other rentals. This is generally intuitive from an engineering perspective. Pricing based on the number of accounts, the amount of data that is processed and saved, give us a good number, as to how much we should charge. But the above approach makes it a uni dimensional pricing strategy. Our product is not just the product, its the customer support, its the number of users, its the problem that we are attempting to solve. The Quality of Support we provide, the response time of the support, Email Support versus phone support versus in person support, number of support incidents, product features and depth of usage are other metrics are other dimensions to reflect upon while deciding the pricing. those features will add to the complexity of the product and cost. the customer segment, I am targeting, does not require such depth. What I tried was, brutally trimmed the price 10 times, of each of the features, and talked to customers. They were not willing to pay that much, but because I wanted to get started, I reduced it 50% further, the ones who were, happy, continued, the rest were a good bye. With subsequent improvisation of the product, the prices will increase, and we will keep iterating on it. Another advice, I got, while I was discussing my pricing strategy with Prof. Prem was to charge for the service and strategy. Well I don’t want to go into the details of how, an analogy can be if you are selling Adobe Photoshop, reduce the price of software, and charge for educational offers. It is working for me, two of my customers are happy with it. It should be easy to compare, with the competitors. You should help people choose a plan. An easy way of arriving at the tier is, creating customer persona, and segregating them.Your pricing tiers are a visual representation of where your buyers fit in your business model, and each tier should align to one type of customer. Tiers makes sense for a lot of startups. But as of now, we are doing without it. Because based on the 50 customers I talked to during the sales process, most of them, got stuck, while I was explaining them the pricing model. 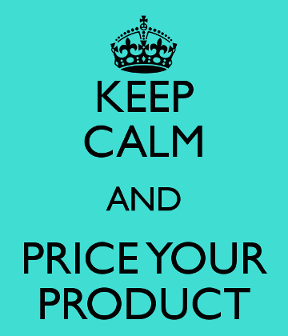 If you’re a startup (or any software company) consider if your customers really need the additional pricing levels. Fizzy Software was founded in 2007 when I was doing my under-graduation in the US. Back then the Facebook platform had just come out and we saw that this could be an excellent opportunity to build some interesting apps on their platform and the first Facebook application that we built exploded well on the market resulting in us developing more Facebook and I-phone applications. We eventually sold most of those applications because those platforms were very new and we weren’t sure what this would end up resulting in. So we saw an opportunity and we cashed out our applications. I then decided to join Zynga as a Product Manager, where, for over a year, I worked on their internal gaming social network initiative which was developed to compete with Facebook. This turned out to be a great learning experience – lots of very smart people, lot of insights, focus on scale, speed and analytics, etc. However I chose to return to India in 2010 and resumed operations with Fizzy Software where I started a team in 2011 which focuses on design, analytics and feedback to build products and solutions for ideas that we came across. The idea for Interakt arose from a recurrent pain point that we observed while developing our products at Fizzy Software. Just to clarify, Interakt is an all-in-one customer engagement platform that brings lead capture, user data, email automation, live chat, web notifications and feedback under one dashboard. Over the previous years when we’ve built products, our goal was always to solve some problem. So we would find that one simple problem or pain point that we were facing and we would build solutions around that. Across all these products that we built there was one underlying theme namely “customer engagement.” No matter what product we built, whether it was a B2B product or a B2C product there was always an angle of customer engagement involved i.e. how do you capture customer information, how do you understand what are they up to, how have they used the product, etc. Typically you would engage with your users by maybe sending a marketing email, automated email, informational email or transactional email. They might also have a query so you would want to respond to their support queries, get their feedback or engage in live chat. So there are currently a lot of different methods that websites and mobile apps use to engage their customers. Once we had built a number of products we saw this as one of the main underlying issues that we had to deal with every time we built a product. That is when we started diving deeper into what other solutions were out there and we learnt that we could build a solution which was probably better and more comprehensive and delivered the right value because of which we decided to build Interakt as a central customer engagement platform to allow you to capture, engage and entertain users. Currently, in terms of customer acquisition for Interakt, we are doing a number of things as I think it is too early to predict what is going to be the biggest customer acquisition driver in the future for us but content writing is a very big thing for us. We are also now trying to formulate a social media strategy where we use Twitter, Quora and other tools to generate more leads and reach out to more people and get their feedback from there. Other than that we are constantly parsing and collecting information about start-ups from blogs and other sources and putting that in our database and reaching out to them. Another big segment for us is our integration partners. We’ve integrated with Shopify, Prestashop, bigcommerce and we are going to be going after their customers and will hopefully win some partnerships and cross promotions with those platforms where we sell it to their customers. People are already used to SaaS based platforms and they understand the value of having everything in an integrated solution. So just like Shopify handles all the inventory management, sales, payment transactions for e-commerce stores, etc. hopefully Interakt could be the place where you manage your customer engagement, supporting your customers, sending them more personalised offers, etc. At Fizzy software, we have a diverse portfolio of products. So when building a product, we first ask ourselves if we are building this as a viable business or are we building this just because we see a problem and we are really passionate about it. This is something that has helped us determine things going forward. Consequently, we have built products like EmailList.io, LaunchGator, etc. where the idea was we wanted a simple solution where it just did something for us where other solutions didn’t satisfy our need, irrespective of generating revenue from the product. In these cases we built these products almost as hackathons and just opened up these products other people. We sometimes even open source the code if we think it can be beneficial to others to see how we’ve done things. In the extreme cases where we do come up with ideas where we think these are really models or opportunities that could be big, then that is when the decision is to see if this a B2B product or a B2C product and based on that the revenue model decision or the business model decision comes in. We have clearly defined that any B2B product will be a SaaS based play and with respect to any B2C product we want to stay away from advertising. This is an internal decision that if we are doing a B2C product it should be something where there is an alternate source of revenue rather than just advertising dollars because in order to make a lot of money on advertising dollars you need millions and millions of hits on a daily basis. While building our products, what has been important for us is being clear about the objective. What I have noticed through various discussions that I have had with regards to a MVP is that people have over thought the scaling aspect of things. For example, when I have 100,000 users or 500,000 users I should be able to do this which, in reality, is technically not part of your MVP. The whole idea of your MVP is just to put something out there and figure out your product market fit because getting to a 100,000 users is a very big challenge and it takes probably lakhs of rupees or a brilliant product or some other product features in there which will allow you to grow that rapidly. Dropbox had its own referral system. Evernote just had a great product to capitalise on. So a lot of people focus on scaling which is one thing that we’ve never thought of. Whenever we are building something we prefer to just plug-in basic features that work for that moment and if we have to re-do it once the product goes live, that’s fine. So scaling is definitely one thing we pushed back at. The core philosophy has been about being able to build that basic MVP in addition to having transparency across the board. We want to make sure that whenever someone is building something they have a clear vision in mind and that everyone in the team is aware of what the other person is doing. Before we build anything however, we require thorough research into the competition and what tools are available in the market in order to enhance and build our product at least on par with what is out there today. I think doing enough market research and gathering enough feedback from people that is basically what should be your first step before you decide to build anything because unless you have Steve Job’s capability of just envisioning something and coming up with a break-through product on your own, most people rely on customer feedback and there is really nothing better than that. So just getting out there and talking to people and figuring out what their response is in order to shape your product’s future is important. A lot of times we’ve been guilty of not doing that. We just went with our gut instinct when we thought that the idea would make a cool product but then we’ve realised, from a big picture perspective, that customer input and feedback from all the stake holders is ultimately what should be driving your product roadmap. “By the time that product is ready to be distributed widely, it will already have established customers”~ From the pages of “The Lean Startup” by Eric Ries. It is essentially true that by the time you finish building your product completely, your customers are already looking for something new! Demands of your customers change in a snap. So, in order to match this lightening speed of change in demands, you need to be pro-active in identifying the problem and develop a minimum viable product (MVP) so that the product refinement process can be jumpstarted. Once your MVP is ready, your startup can now work on modulating the engine and move ahead. Since speed is what a startup looks for when building a product, most developers are now turning to Ruby for web application development. Ruby can give you speed and ease in building your MVP. It is extremely efficient in assisting you to build a highly scalable app. Ruby comes with a low “learning curve”, which means that once you have crossed the initial hiccups, it is the most natural language to work with. Ruby is a mature language with features like OOP, functional programming, multi-platform compatibility (WIndows, UNIX variants, Linux, BeOS, MS-DOS), minimum exceptions, Garbage Collection. With flexible syntax and without any pointers, Ruby has great web development frameworks (like Rails, Sinatra). Ruby does not incur any cost if you want to copy, modify, distribute and use it.Since coders can modify it according to their needs, coding does not seem restricted anymore. Ruby has a vibrant open source community and a great support system. You can have a look at the source of the code, or suggest a patch, or get connected to helpful user communities as well the creator. Ruby definitely comes handy to a startup trying to build a MVP. Time constraint is always there on startups. In such a state if a programming language comes with too many restrictions, it makes the task more difficult.There is no denial that startups with their MVPs are actually making it big. Any developer competent with Ruby language is the first choice of a startup. If you want to be in the coding world, Ruby should be the first language to learn. Not just because it is simple, but because it is rewarding as well. It has features that are convincing and can handle almost all exception well with its robust nature. So, without delay, join Venturesity’s Ruby course. It is comprehensive in its course modules and is taught by industry experts. Expect the best guidance from our instructors who teach our students over live classes. What can be better than a hands-on training, an interactive class and project work to validate your learning! Register with us soon before time runs out! The last date to apply for this bootcamp has been extended to 16th August especially for Product Nation subscribers. Learn from some of the best startup brains developing B2B products alongside. To apply, visit this page for more details on eligibility criteria, and how to apply. The last date is extended to 16th August exclusively for Product Nation subscribers. For updates follow the twitter hashtag #TieBootCamp. When building a product it is very easy to make a list of features to build. One could brainstorm to create an initial list, copy features from a similar product or ask others (including potential users or customers ) via a feature wish list. However which feature to prioritize and what to build first? is one of the most burning question for startup founders and early employees. There will always be more features to build and add than there is the capacity or bandwidth to build.The additional challenge is even after building it is not clear if it was the right decision. These decisions typically happen based on what one thinks is cool to build or someone has asked to build first. For lack of a better framework to use to decide that is how things move forward but time runs out, product builder stand clueless what should have gone in the first place. LeanStartup principles offer a framework for thinking about this. BUILD gets complemented by MEASURE & LEARN and which further loops. At the beginning of an idea building an MVP is good step forward (which as we previously is tool for learning & may not be any feature of the product) to learn a little bit more. With learning from MVP additional features can be decided upon. List each feature in terms in terms of the learning that they should yield along with a defined metric. At various stage of a startup different metrics matter and come into play. For instance in the very beginning along with the MVP – validation of problem & solution is the important metric. Once that is established metrics relevant user acquisition, retention, referrals become important. The first step to decide before periodization is to decide the metric for startup to focus on. Once the metric identified picking the feature become easy. For instance for a product the problem/validation is established the next important stage is to acquire users really fast then to prioritize a feature ask the question “Does feature X allow to acquire users more by Y%”. Pick the feature first that will have the higher score for this. If development time comparison for the feature is steep then factor it in the trade-off.